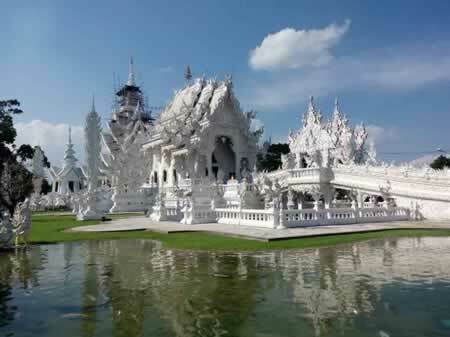 Chiang Mai & Chiang Rai in Northern Thailand is the ultimate destination for Sightseeing. Chiang Mai in Northern Thailand is a popular destination and on most Thailand visitors To Do List. Many come many times as Chiang Mai has so much to offer and to do. 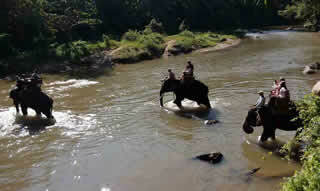 Easy Day Thailand is specialized on it’s Own Private Sightseeing Tours to show you the best of Chiang Mai & Chiang Rai. Plus we have a selection of fun activities such as Elephant trekking, Zip Lining, Bike Tours, Kayaking & Trekking. Most of these can be combined with Easy Day Tours and Overnight tour. Private Guided Tours by Easy Day Thailand. You will be able to explorer the beauty of Northern Thailand your way. Fun activities such as Bike Tours, Zip Lining, Elephant trekking and much more booked with Easy Day Thailand. Selected Hotels in Chiang Mai & Chiang Rai – Find now your base camp for Exploring Thailands North. Contact Us now for Chiang Mai Tours & Activities. Pay Online for all Easy Day Thailand Services! Plenty of Things to Do in Chiang Mai. Let Us help you in organising your stay in Northern Thailand. Tell us where your interests are and what you like to do and how much time you like to spend in Chiang Mai and we send you recommendations. Explore Northern Thailand with one of our custom made sightseeing tours. Our experienced tour guides will show you the well known popular places and hidden treasures off the beaten trek. Chiang Mai is a large city set in the northern mountainous regions of Thailand it is a very historic city dating back seven hundred years or more. Dwarfed in size by Bangkok, Chiang Mai is only an hour or so flight from the capital city, and in recent times become extremely popular. Chiang Mai offers a unique blend and style of unique cultures, arts, festivals, and traditions as well as an exciting mix of local, ethnic communities, from all over the world. Chiang Mai is drenched in history, and wherever you go in the city you will s-ee constant reminders of it and even sometimes violent past. 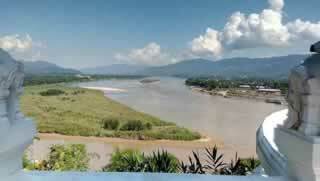 Over the centuries Thailand has had a few skirmishes with its neighbours to the west, Burma. And in 1557 the Burmese actually went full out and attacked Thailand. They totally sacked Siam (Thailand now) and turned Chiang Mai into a vassal state. Over the next few hundred years Chiang Mai was a forgotten state. It was written off by the Thai people and most of the world and it disappeared from the pages of history. After the Burmese had destroyed Chiang mai they left it completely un-populated, slowly over the following twenty years or so people started to return to this once great city. Gradually repopulated, Chiang Mai it eventually was welcomed back into the kingdom of Siam. Chaing Mai was back then quite difficult to reach by road the main route on was along the river even that was slow and at time arduous. Chiang Mai, these days is of course a completely different city to back then, it is beautiful in fact. Although you can still see some scars from those dark days. It is far easier to get there and takes significantly less time. There are many flights from all over the country into Chiang Mai arriving daily, from Bangkok for example it takes little over an hour to reach the beautiful city. February is a great time to visit because every year, there is a flower festival. This is to coincide with the more agreeable weather, suitable for growing such beautiful flowers. 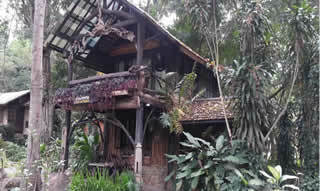 Another great p[lace to visit is the Elephant Nature Park, situated about 60 km north of the city, about an hour away. The Elephant Nature Park is home to approximately 30 rescued elephants. The Hill-tribe tourism and trekking business is possibly the main reason people want to go to Chiang Mai. This tour appeals to many folk venturing this far north. Several tour companies organised trips into the hills and mountains. This can be done on top of an Elephant, on this trip you can meet up with the famous hill tribes of Thailand as they still to this day their ancient traditions. There are museums and temples and countless shrines to Buddha to see there is trekking to undertake, markets to shop at, the nightlife is thriving with some fanciful restaurants and bars as well as other eating places available. There is also a strong expat community therefore western food is plentiful too. There really is far too much to list, the best way find out about Chiang Mai is to visit yourself you will be happy you did. It is truly a most attractive city, and the people are even friendlier than in the city of Bangkok.